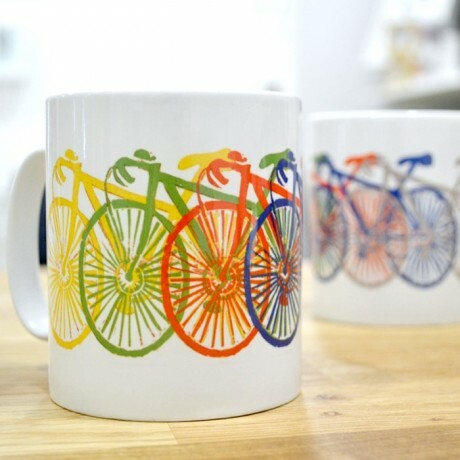 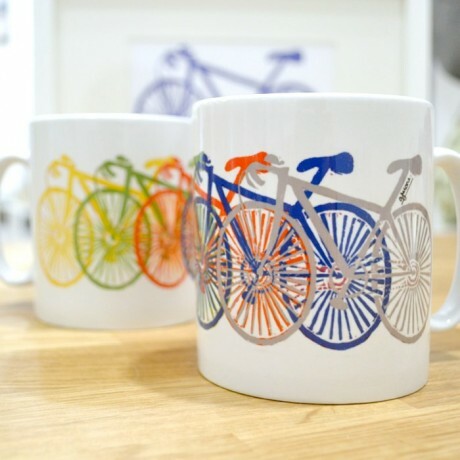 Perfect for avid cyclists everywhere, this mug shows a peloton of vibrant vélos. Even the most ardent bike enthusiast benefits from a swift sit down with a warm beverage. Designed and printed in the UK this ceramic earthenware mug is 330ml and dishwasher safe.